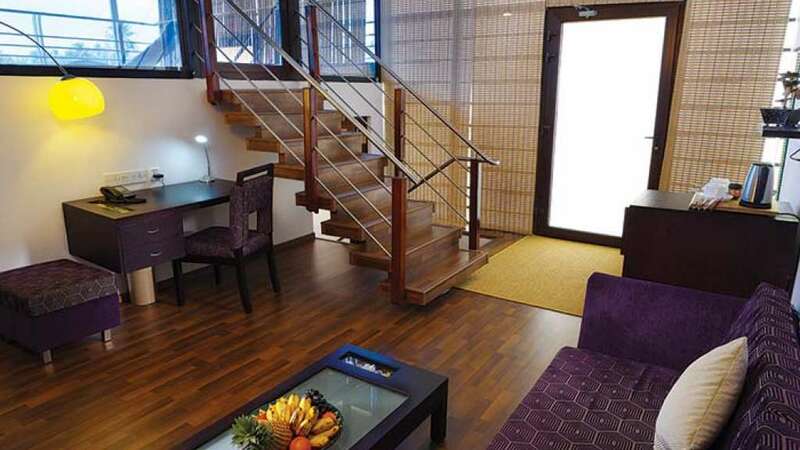 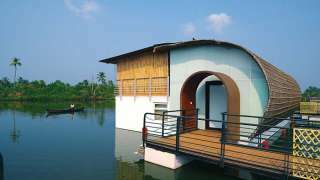 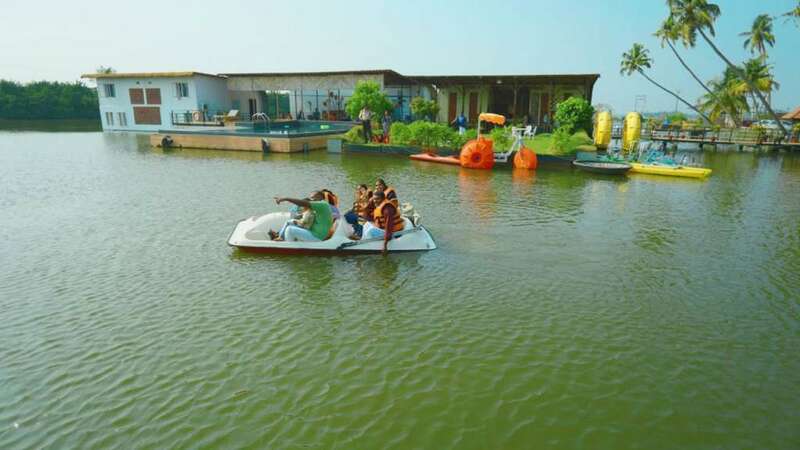 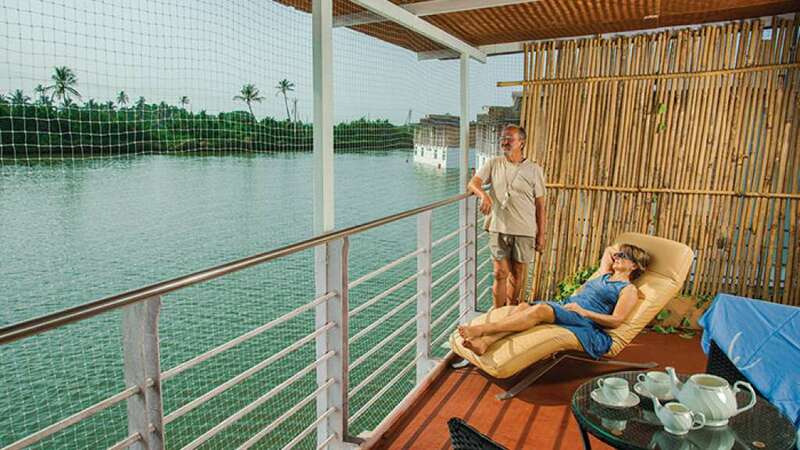 The Aquatic 'floatel' village retreat is located close to the city of Kochi at the quiet village of Kumbalangi. 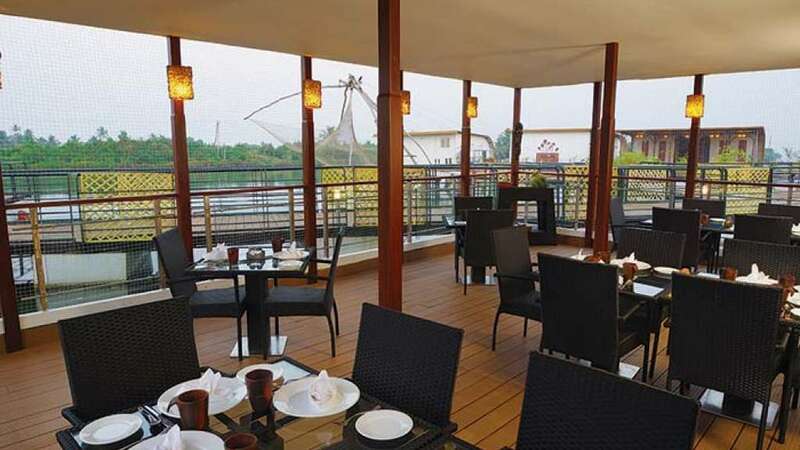 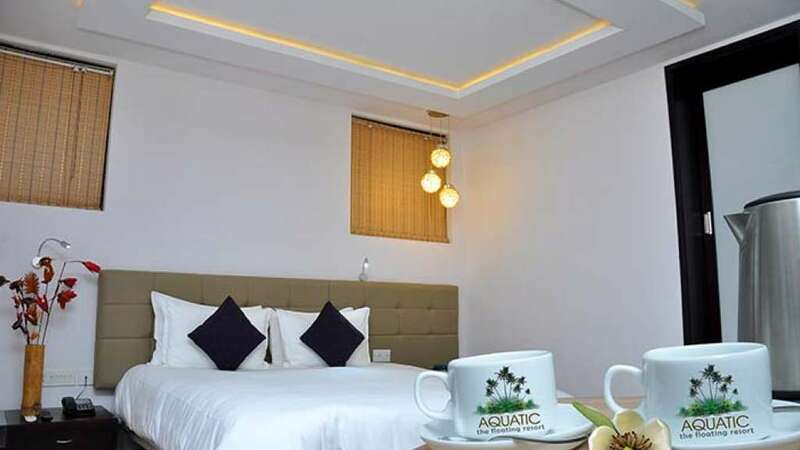 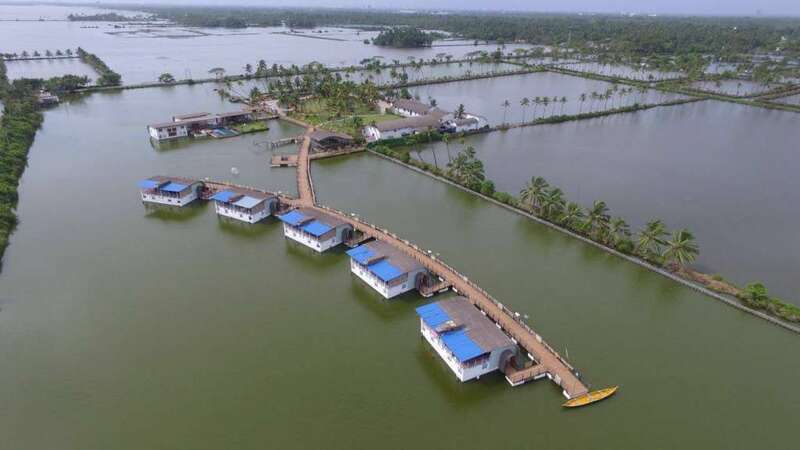 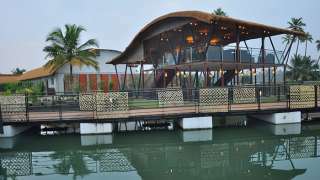 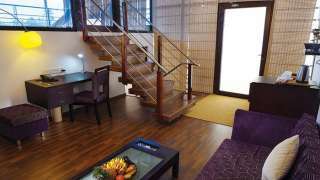 The Aquatic backwater resort consists of 5 luxurious floating units with a total of 10 aesthetically and functionally superb rooms. At Aquatic, there is absolutely no dearth for things to do. 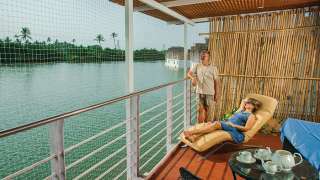 There are a wide variety of thrilling activities that could keep you entertained and informed as well. 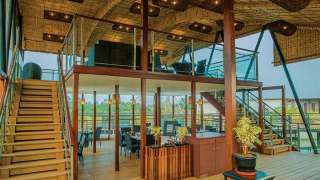 Excellent food is sourced by an outstanding chef and his support staff. 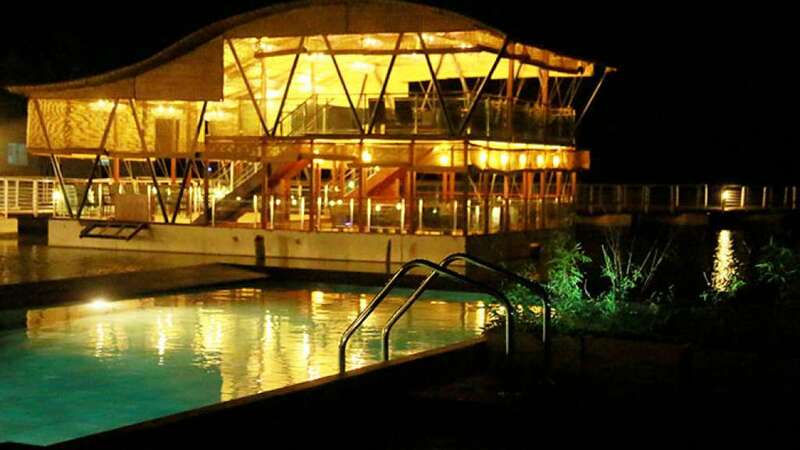 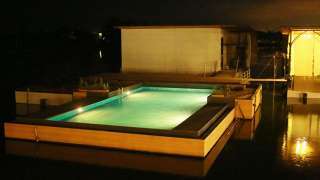 The Aquatic has India's first floating infinity pool. 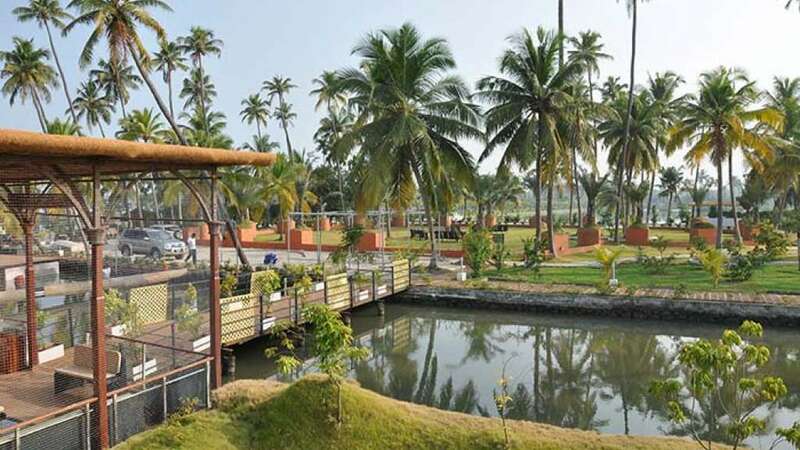 It has an eco-friendly with state-of-the-art effluent treatment system. 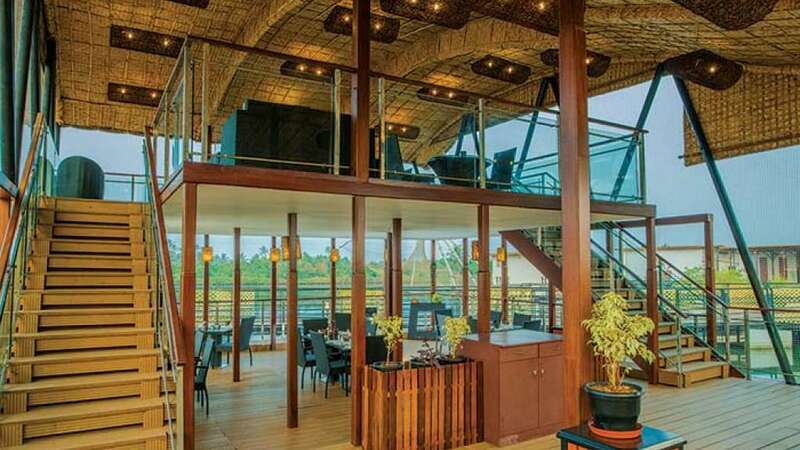 Float and experience the one of a kind floating retreat sensation at Aquatic floating resort. The conceptualization and design by the promoters is a marvel of artistic expression and technical superiority. 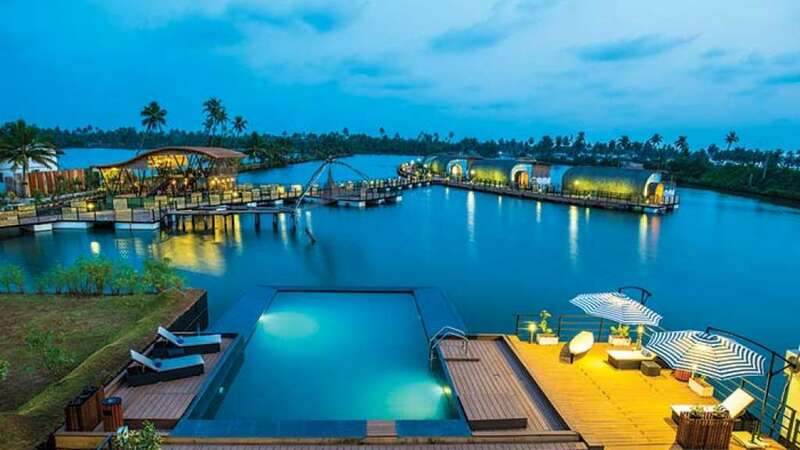 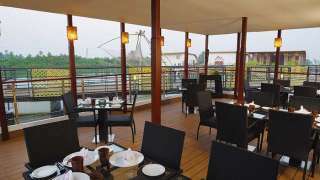 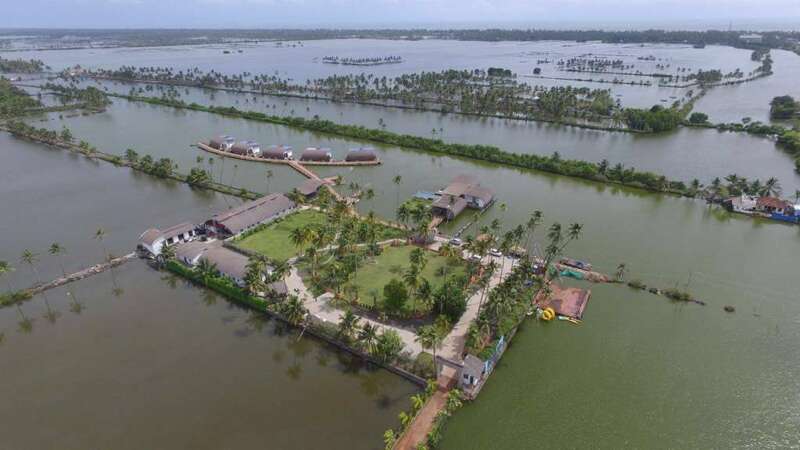 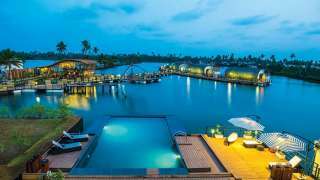 Aquatic is situated within a 30 acre expanse of backwater body laced with the sober greenery of mangroves and the imposing presence of tall handsome coconut palm trees.